There hasn't been a ton of buzz surrounding Robert Rodriguez's Alita: Battle Angel, and I don't know if that's good or bad. The previous trailer came out late last year, but you haven't heard the usual rumblings associated with American adaptations of classic manga/anime, like you did with Ghost in the Shell. A brand new trailer hit during Fox's panel at Comic-Con a few days ago, and again the response has been very muted. The Maze Runner breakout Rosa Salazar stars as Alita, a warrior cyborg who must survive the streets of Iron City while also learning the truth of her mysterious past. The film co-stars Christoph Waltz, Jennifer Connelly, Mahershala Ali, Ed Skrein, Jackie Earle Haley, Keean Johnson, Michelle Rodriguez, Lana Condor, Jorge Lendeborg Jr., and Eiza Gonzalez. This is one of the best casts Rodriguez has ever worked with, and let's hope he and James Cameron, who co-wrote the script and produces, can create an imaginative world that matches the vibrancy of the graphic novels. If anybody can it's Rodriguez and Cameron. Here's the synopsis: Set several centuries in the future, the abandoned Alita (Rosa Salazar) is found in the scrapyard of Iron City by Ido (Christoph Waltz), a compassionate cyber-doctor who takes the unconscious cyborg Alita to his clinic. 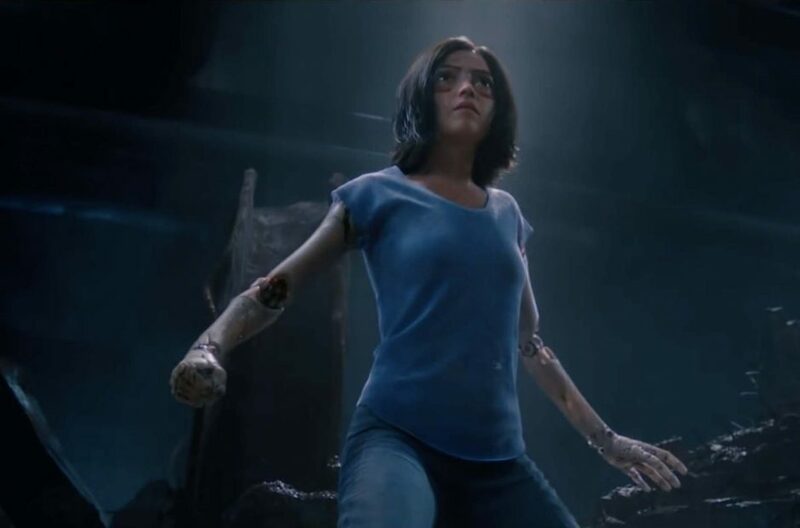 When Alita awakens she has no memory of who she is, nor does she have any recognition of the world she finds herself in. Everything is new to Alita, every experience a first. As she learns to navigate her new life and the treacherous streets of Iron City, Ido tries to shield Alita from her mysterious past while her street-smart new friend, Hugo (Keean Johnson), offers instead to help trigger her memories. A growing affection develops between the two until deadly forces come after Alita and threaten her newfound relationships. It is then that Alita discovers she has extraordinary fighting abilities that could be used to save the friends and family she’s grown to love. Determined to uncover the truth behind her origin, Alita sets out on a journey that will lead her to take on the injustices of this dark, corrupt world, and discover that one young woman can change the world in which she lives. Alita: Battle Angel opens December 21st.